MCNITR is a closed–loop commercial telecommunications network that produces representative radio frequency signals and cellular infrastructure. 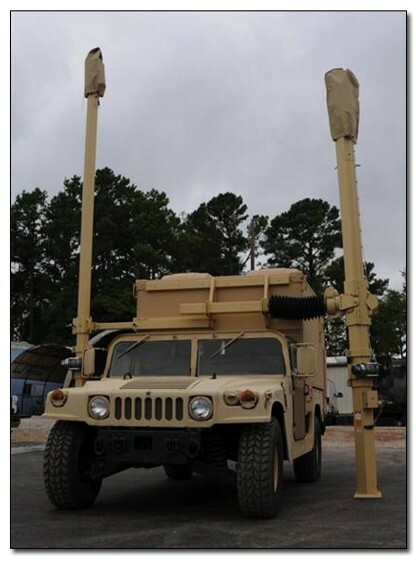 MCNITR provides a commercially available, wireless telecommunications network implementing Second through Third Generation via Global System for Mobile communications and Universal Mobile Telecommunications Standard/Wideband-Code Division Multiple Access and Wi-Fi network utilizing IEEE 802.11a/b/g/n standards. CFI, working with the Prime Contractor, engineered, designed, developed, built and delivered all nine of the HMMWV based platforms/shelters for the program. The project included design of the shelter power systems, power distribution, signal entry, equipment mounting and layout, environmental control, RF and Data distribution and RF output mast design. This system required a large amount of equipment to be contained in a small, lightweight, self-contained package, while still allowing for usability and user comfort over extended periods of operation. CFI produced nine units to the specified limited rate production schedule required by the program while meeting all QMS and schedule requirements.